This glaze is THICK. I put at least another 2 tablespoons of milk to make it a little more workable. I bought Ghirardelli Melting Wafers, and boy are they worth it. Its suggested that you use candy melts, the kind you can get at crafts stores, but who wants to eat anything from Michaels? If you’re going to do chocolate, might as well make them with REAL chocolate. Enter: Ghirardelli. 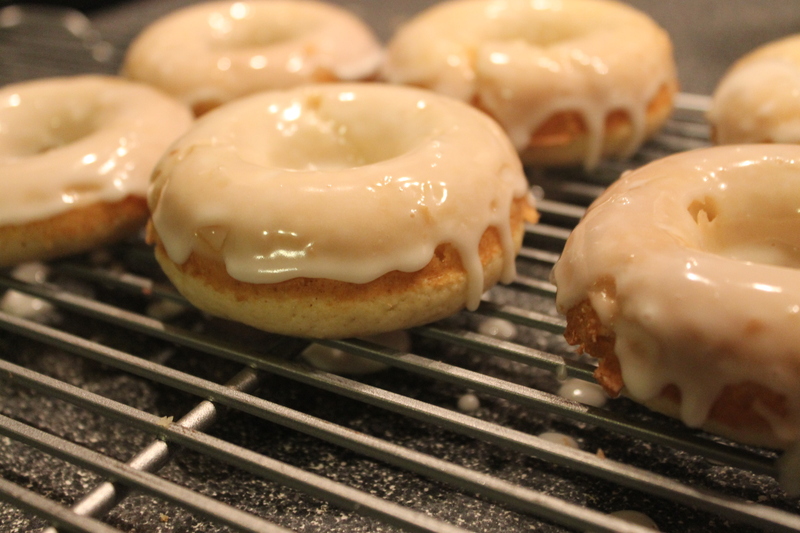 It is a little challenging to dip these– they are cake donuts (not light yeast donuts) so they have a bit of weight behind them. But I don’t think you’ll be disappointed! Add lemon juice to milk (this is a substitute for buttermilk). Combine dry donut ingredients in large bowl. Add milk, eggs and butter. Stir just until well mixed. Let cool then remove from pan and set on cooling rack. 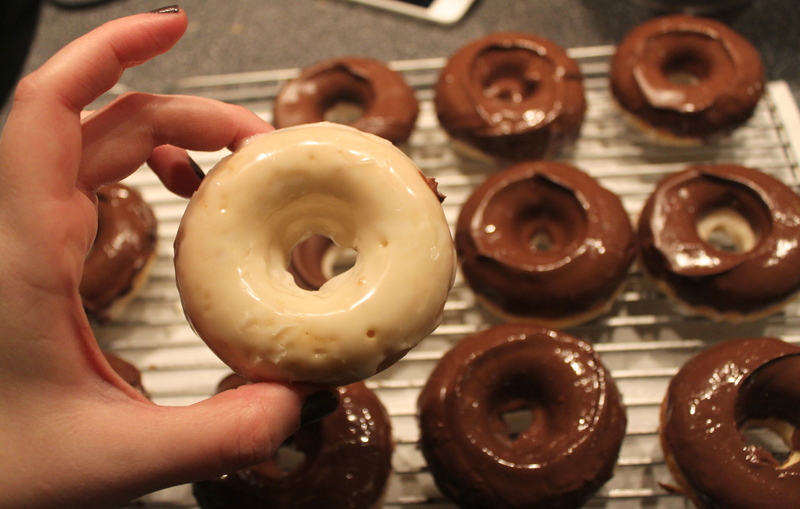 Dip top of donut in glaze. 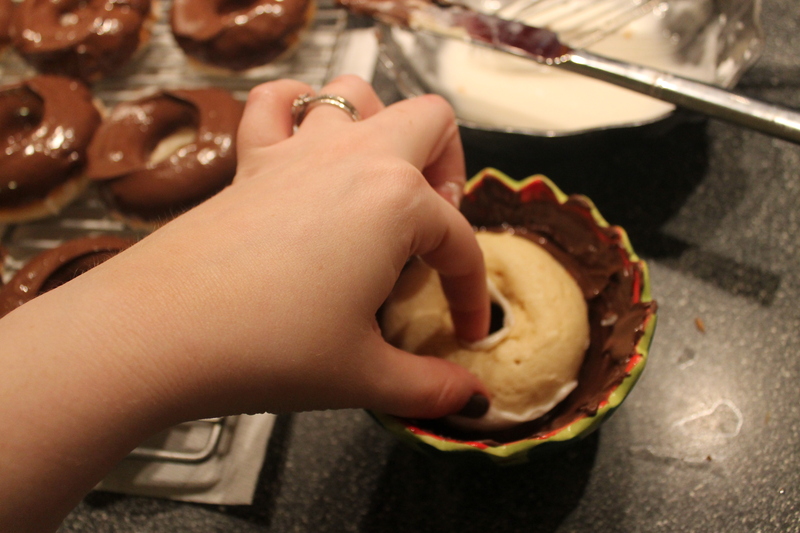 Wait a few minutes for the glaze to set. 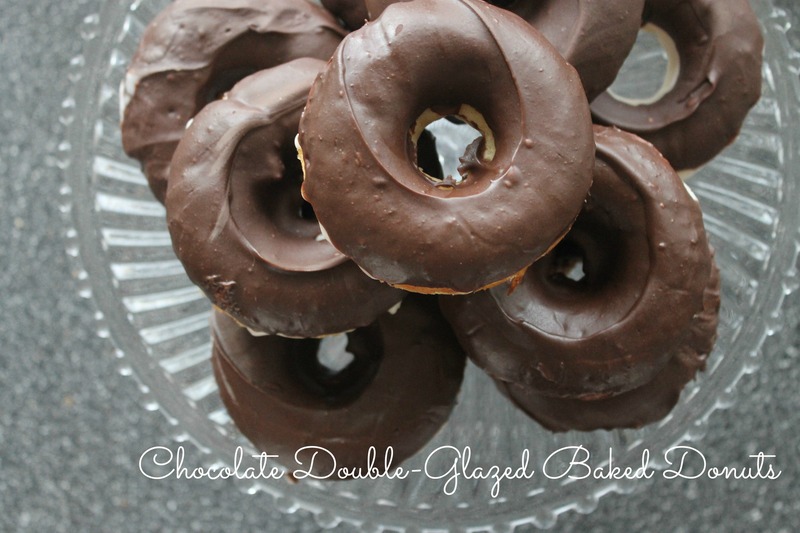 Dip top of donut in chocolate glaze– let cool, and enjoy! 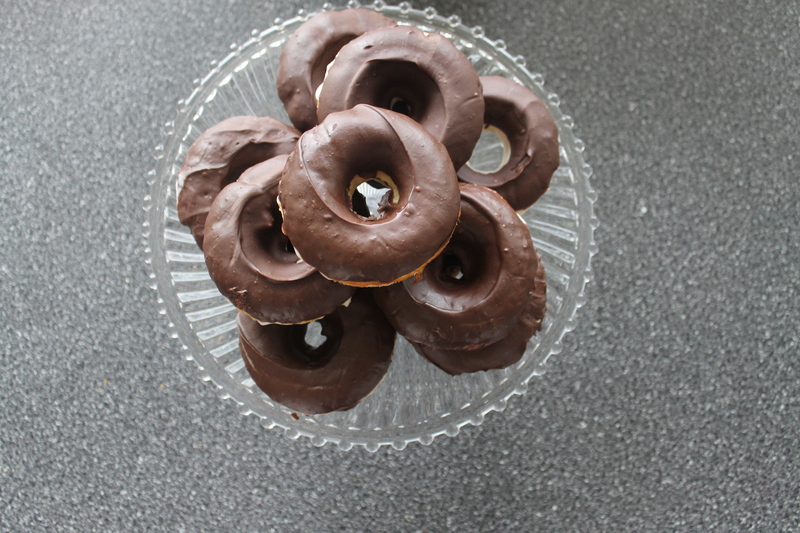 Categories: Good Eats | Tags: baking, Cooking, donuts, pinterest recipe | Permalink.